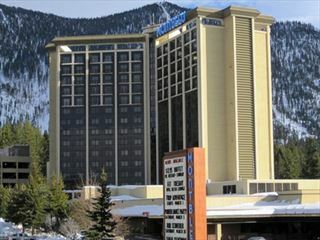 In a fabulous location on the north shore of Lake Tahoe, this extensive resort hotel has a great choice of restaurants, bars and facilities. 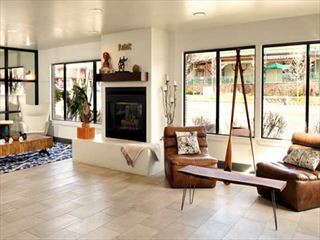 With a wide choice of guest rooms and cottages, this a great choice for anyone wanting to enjoy Lake Tahoe. 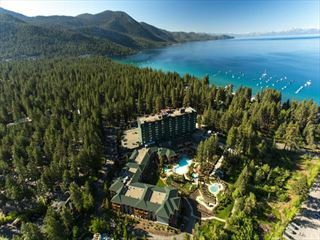 Located just a few minutes walk from the shores of Lake Tahoe and close to the restaurants, shops and amenities of South Lake Tahoe, the Hotel Becket is a comfortable base for a stay in this stunning region. 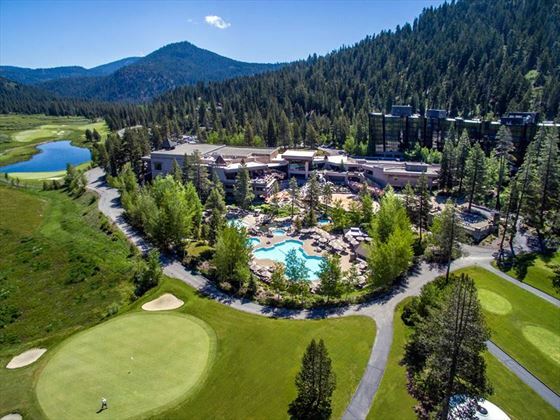 This year-round alpine resort offers spectacular views of Lake Tahoe and the Sierra Nevada mountains. Located in Nevada, just a one hour drive from Reno. 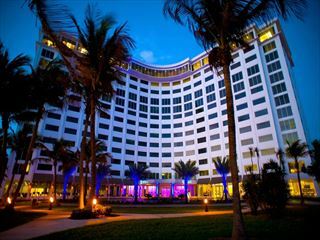 The Montbleu Resort is a great base to explore the surrounding area and enjoy the lakeside beaches. 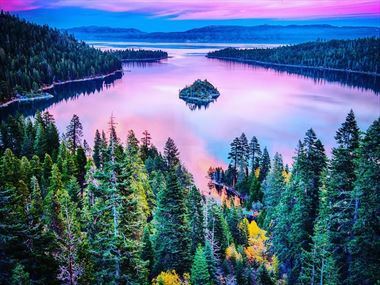 Lake Tahoe is a great destination throughout the year, with the summer offering up mild climates and winter being perfect for skiing and ice skating thanks to the thick snowfall. Whatever type of outdoor activity you fancy trying, you’re bound to find it here. There are lake cruises, hiking trails, motorboat rentals, kayaking and skiing, as well as classic camping for those who simply want to get back to nature. 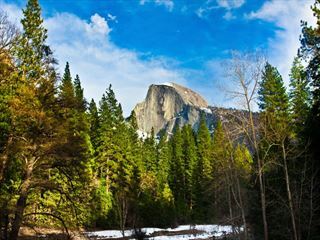 You can also combine a stop at Lake Tahoe with some other Californian destinations, as part of a multi-centre or escorted tour. 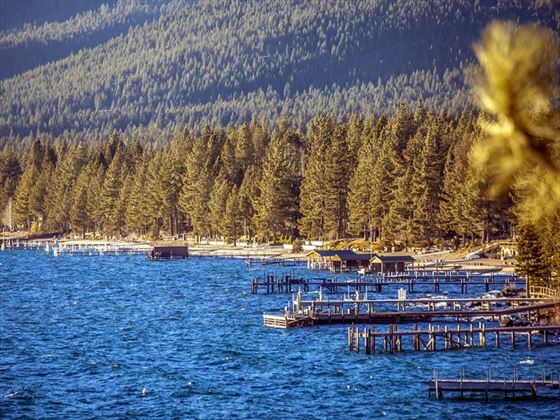 North Lake Tahoe and South Lake Tahoe collectively provide the best of both worlds for any holiday at any time of year when travelling to the west coast of the USA. 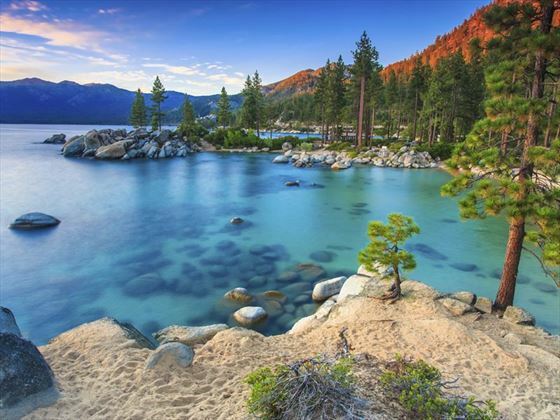 Lake Tahoe is the largest alpine lake in North America, with its clear water surrounded by the high Sierra Nevada. Stunning landscapes, stately groves of pines, and gorgeous sunsets are hallmarks of the area. 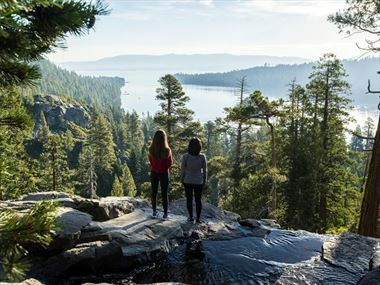 Summer at Lake Tahoe offers activities which include outstanding fishing, challenging golf courses and spectacular hiking. From mountain biking to a day on the beaches – Lake Tahoe is as good a summer destination as the skiing offered during the winter months. It’s a fantastic family destination, with plenty to keep kids and adults alike entertained. Making the most of the scenery has never been so much fun – go hiking, hit the waters or ski down the snow-covered slopes in the winter. Don’t think indulgence is off the menu; there are some great spas around the lake for when you’re tired from skiing or hiking. This year-round destination has something for everyone, no matter when you visit; there are even casinos and live shows in South Lake Tahoe! 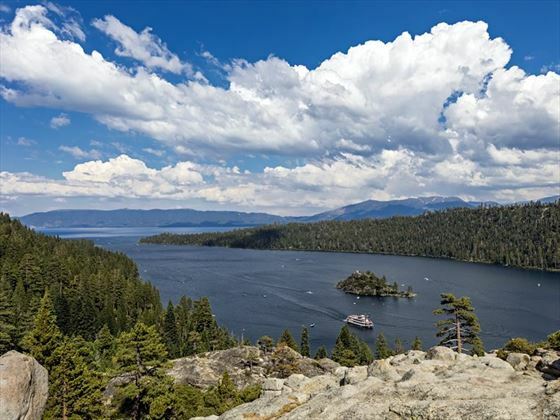 There are a wide variety of things to see and do whilst staying in Lake Tahoe. Check out our travel guides for some of the highlights, top tips and travel inspiration from our American Sky Experts, along with some essential information you may need for your holiday. On North Lake Tahoe, you’ll have a wealth of activities at your fingertips while being immersed in spectacular scenery, enjoying the opportunity for relaxing and unwinding in a peaceful environment too. 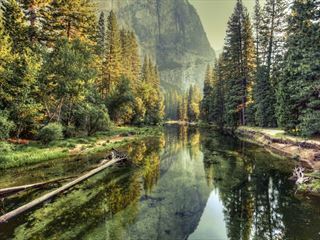 The largest alpine lake in North America is also one of the continent’s most scenic, making getting outdoors and exploring the surrounding area on foot or on two wheels a must. Lake Tahoe can be found along the borders of California and Nevada and is blessed with some superb sandy spots from where to check out those all-important reflective views.